We love our pets. Some people forego traditional family expansion for raising “fur babies” instead. Raising pets like they are members of our families means we go the extra mile for them. Especially when it comes time to address their health problems. Unfortunately, most pet owners must watch as their companions languish at the end of their lives. 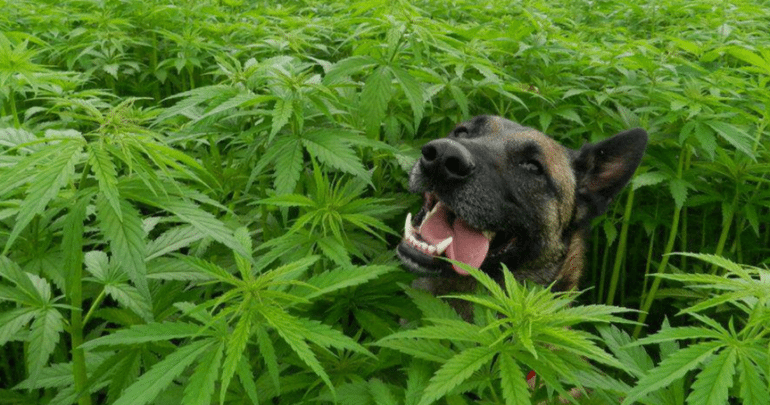 Sparked by the success of cannabidiol, or CBD, for humans (adults and children alike), more and more pet owners are turning to CBD to help their buddies in similar fashions. Not everyone is on board, however. Namely veterinarians. 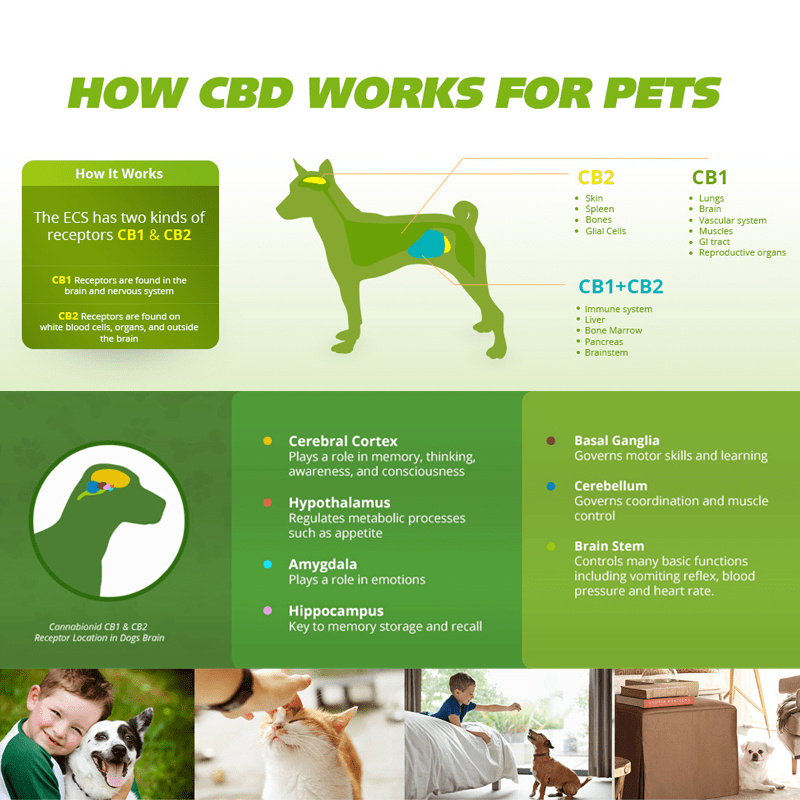 For unlike human models, there are limited clinical studies of CBD for pets. Most of the success is coming from word-of-mouth and testimonies of other pet owners. Taking a deeper look at these testimonials, we see CBD giving hope to many families and their beloved pets. 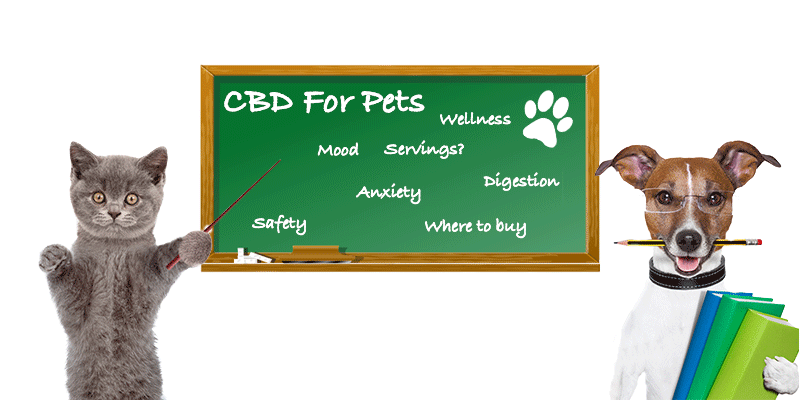 CBD can help pets in a variety of fashions, however, traditional vets are reticent to recommend it. In keeping with much of the momentum driving the human population’s fascination with CBD, a few famous success stories are really fueling the fire. Back in 2015 in Berkeley, CA, long before legalization, dog owner Andrew Mizia spoke with local news about how CBD helped his dog with its anxiety, helping the pup become more socialized. More recently, dog owner Natasha Wolf and her 16 year old epileptic corgie gained fame in Reno, Nevada for helping her epilepsy with CBD. “So I got some (CBD Oil) and started putting it on her food twice a day and it really cut down on her seizures,” Wolf tells local ABC 8. Nowadays, the targeted market of CBD for pets is exploding. Biscuits, oils, tinctures, pills – you name it. Pretty much every CBD product available to humans is now available for pets. Pets also have an endocannabinoid system like us, but CBD should not be administered in the same fashion. Take special precaution with your fur-babies. With such a massive, and growing market, curious pet owners may feel overwhelmed in the face of so many choices. As with using CBD for adults, there are key determining factors to look for when selecting a product. Check for dosage. Keep in mind the size of your animal. Also, certain treatments target dogs or cats, some both. Additionally, others claim to be “calming” while others aiming to be healing and pain relieving. Be prepared for side effects. CBD for pets can be a strong sedative, so a perky pet can quickly turn into a couch potato. Despite CBD’s well established safety and effectiveness in mankind, remember, you are giving something to a subject who can’t voice their opinion on the matter. You wouldn’t give your little sister CBD just to shut her up, make sure your pet really needs a potent supplement before loading them up on a compound so powerful it can cease hundreds of seizures a day. That said, if your pet suffers from seizures, maybe CBD might be worth a try. This entry was posted in Uncategorized and tagged cbd, cbd for pets, hemp, industrial hemp, legal, research.